Kotak Mahindra Bank had on Tuesday announced a standalone net profit of Rs 527.14 crore, up 29.46 per cent, against Rs 407.18 crore in the corresponding quarter a year ago. Kotak Mahindra Bank shares fell over 2 per cent in morning trade on the Bombay Stock Exchange as analysts maintained a neutral view on the stock even though the lender posted a 30 per cent jump in net profit for the quarter ended March 31. Total income and other income of the bank grew 27.27 per cent year-on-year (yoy) and 96.23 per cent yoy to Rs 3,249.08 crore and 668.14 crore, respectively. Operating expenses increased to Rs 930.58 crore (up 32.96 per cent yoy and 14 per cent quarter on quarter) due to higher merger and integration cost. Net interest margins (NIM) of the bank improved by 17 basis points on quarter-on-quarter basis (qoq) basis to 4.9 per cent due to strong growth in current account savings account (CASA) deposits along with decline in wholesale deposit rates. However, market experts have a neutral view on further share price movement of the bank. "NIM is expected to moderate further from current level due to merger with ING Vysya Bank. Management expects to maintain the NIMs at around 4-4.5 per cent post merger in the ongoing financial year," Reliance Securities research analyst Ashutosh Kumar Mishra said in a research report on Wednesday. "We expect marginal deterioration in asset quality post the merger with ING Vysya Bank in 2015-16E. We expect slippages ratio to increase from current 1.9 per cent to 2.5 per cent in the ongoing financial year. However, strong growth in operating profit will help the bank to effectively manage the asset quality in coming quarters," Mishra said. The asset quality of Kotak Mahindra Bank improved during the quarter under review as net non-performing assets (NPA) stood at 0.92 per cent as on March 15 against 1.08 per cent in the corresponding quarter a year ago. Gross NPA ratio stood at 1.85 per cent at the end of March 2015. According to a research report by Nomura, Kotak Mahindra Bank Q4 result was better than expected with a beat on both lending and capital market businesses. The research house maintains neutral rating on the share price of the lender and expects the stock can touch Rs 1,500 in the next few quarters. On May 5, the bank's share price closed at Rs 1,423.65, with trailing-12 months price-to earnings (P/E) ratio of 69.55 against industry P/E of 21.12. "We have neutral view on the stock of Kotak Mahindra Bank with a fair value of Rs 1,458," said Mishra. According to a research report by Choice Broking, shares of Kotak Mahindra Bank "could trade on positive note, as trading volumes has been increasing with rise in price since last couple of sessions. 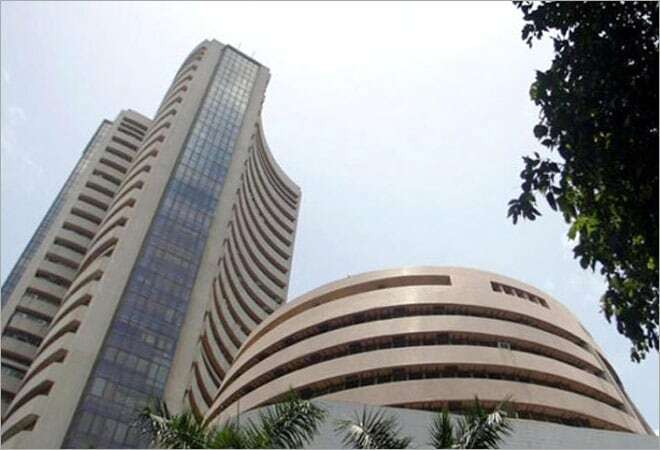 Moreover, if it surpasses above Rs 1,450, then next upside rally may occur at Rs 1,510." Shares of Kotak Mahindra Bank were on Wednesday trading 2.8 per cent down at Rs 1,383.85 on the Bombay Stock Exchange at 11.38 am.